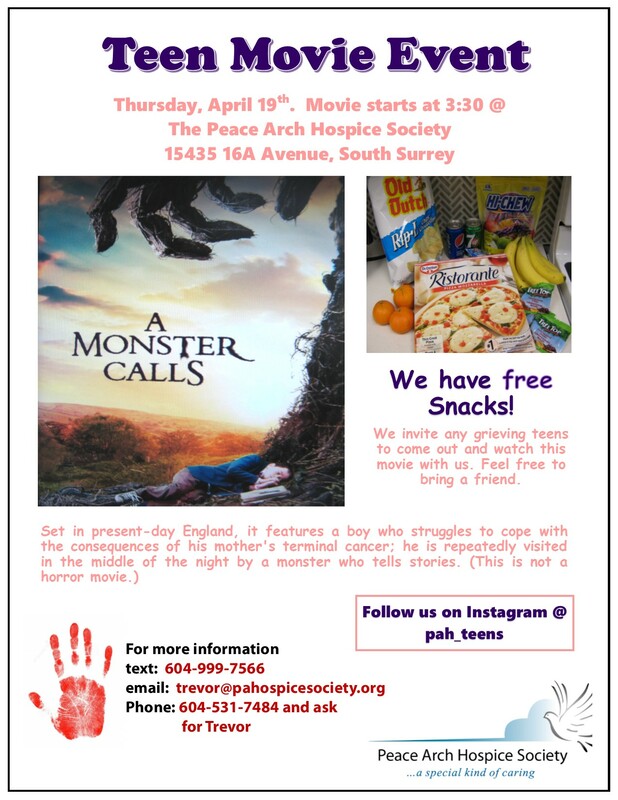 Free Movie and Snacks for Teens! 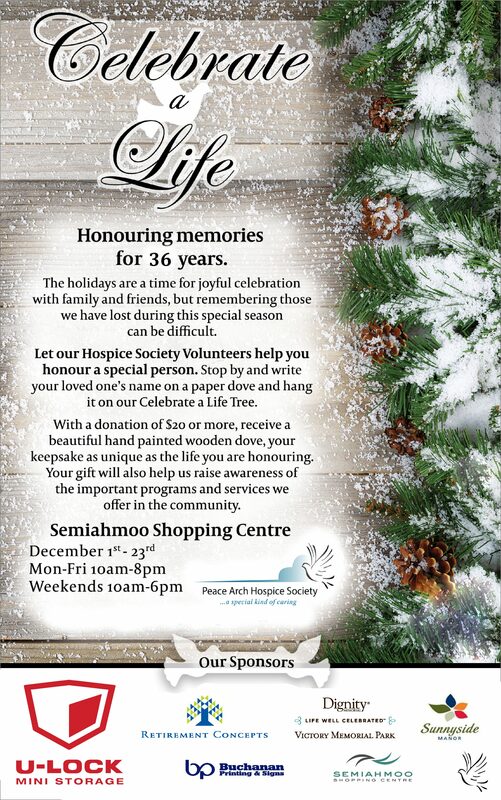 Do you know a teen who is dealing with the loss of someone? 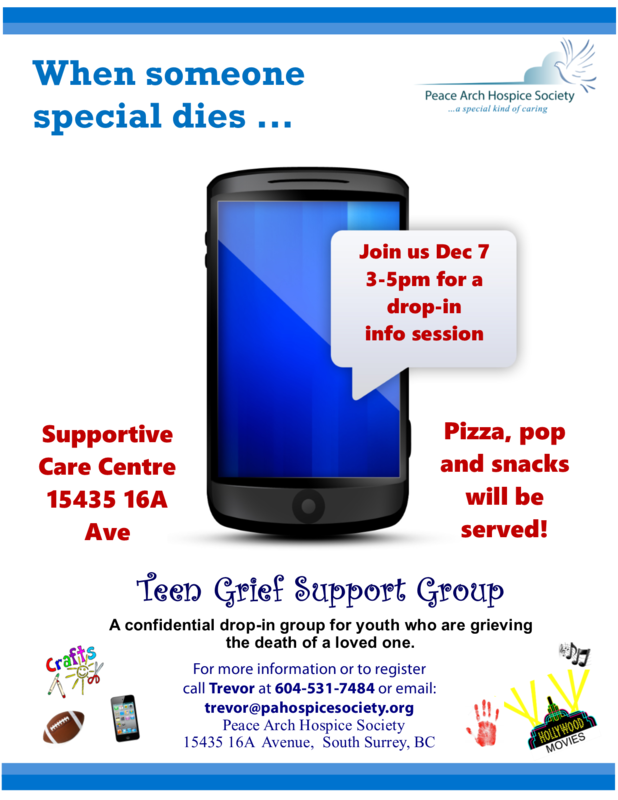 We are having a drop-in info session on December 7th with pizza, pop and snacks. Call or email to register. No commitment needed and free! Do you know a Grade 11 or 12 Student that would like to earn their volunteer hours while gaining knowledge and insights about society, self and others? 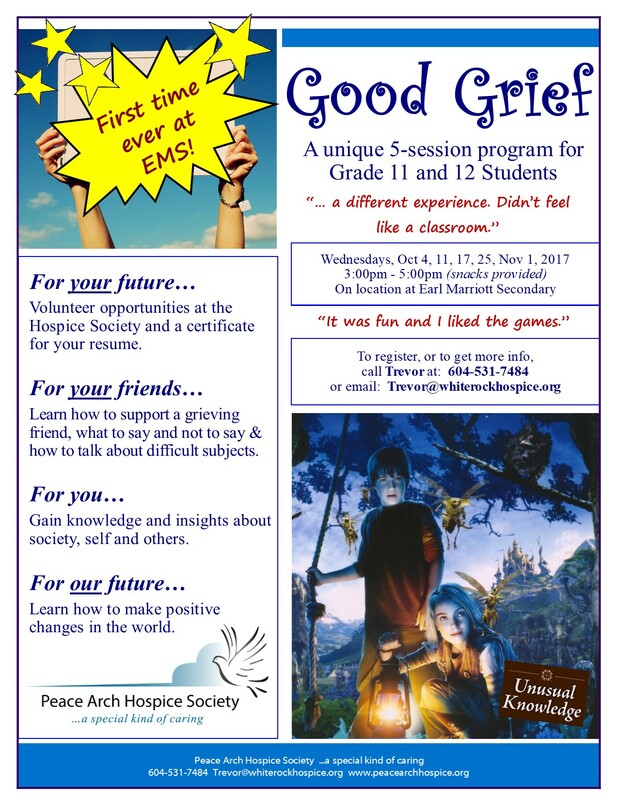 We are holding our ‘Good Grief’ Training for Teens on Wednesdays – starting October 4th – from 3 to 5pm at Earl Marriott Secondary. Pre-registration is mandatory as there is limited seating. All grade 11 & 12 students from the White Rock South Surrey area are welcome to register.